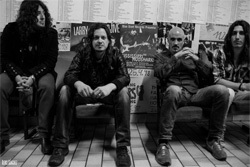 Since 2010 and their second album, Spain's Eldorado has been putting out two albums with each new release, one in their native Spanish, the other in English. The songs are the same, but often with different titles. Once more, this year brings Karma Generator in Spanish and, Babylonia Haze in English, considered in this review. 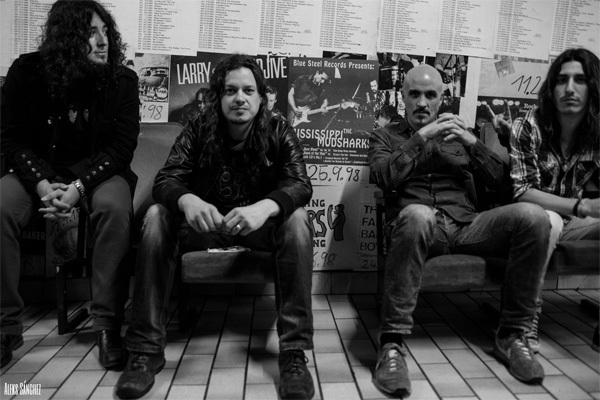 Musically, Eldorado once more pursues their melodic hard and heavy rock touched with some blues with roots in the early rock of the Seventies. Against the previous release, some of the experimentation with modern nuances seems to be gone. If there's anything new, there are a few songs that have some folk, even some slight Celtic, tones including Breath The Night and Resurrection Song. Lyrically, the themes feel more introspective, revealing emotional and relationship issues. Overall, Babylonia Haze has some of their best sounding material to date, with their command of English continuing to excel. Considering some other songs, Mad Woman, Evil People, and the quite catchy You Don't Wanna Need Her finds Eldorado offering more of their heavy rock groove. The songs are laced with veins of blues and pyschedelic rock, and more of those swirling Hammond-like keyboards. Some of that introspection comes with in the heavy and churning Flower of Envy, where the keyboards have a significant part. You may think the ghost of Jon Lord was in the studio. Similiar is the lengthy Karma Generator which, at the start, swaps between riffs and thick keyboards for more of that slow burning sound. But at midpoint the beat and groove accelerate, the riffs remain thick over the rumbling drums, then give way to a slight solo. The album ends with a Moon Girl, where Eldorado mellows for a more gentle approach led by Jesus Trujillo's vocal arrangement. But even this song gets bolder in it's conclusion with sharper riffs and deeper drums. As alluded to earlier, Babylonia Haze is a fine and entertaining album of melodic heavy rock, with Eldorado offering some of their best songwriting and musical expression to date. Babylonia Haze is a fine and entertaining album of melodic heavy rock, with Eldorado offering some of their best songwriting and musical expression to date.